We invite prospective students and their families to join us for CETI’s Open House, a casual events tailored to your interest in trade work. 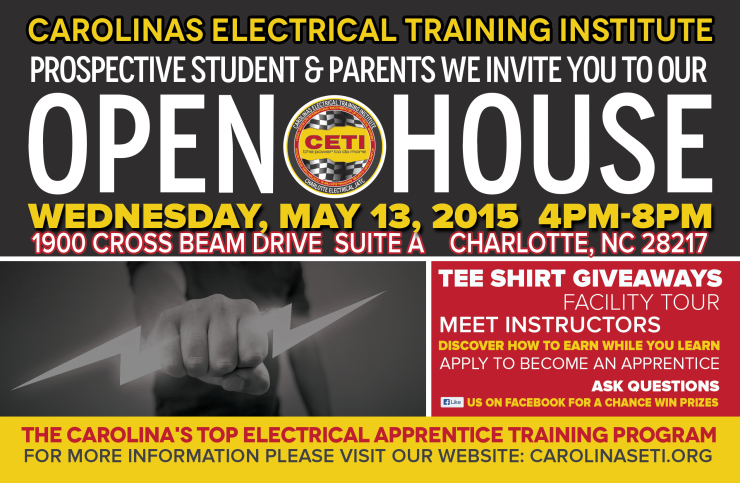 Throughout your visit at Carolinas Electrical Training Institute’s Open House in Charlotte North Carolina, you will have the opportunity to meet with faculty, staff, current students, and union representatives. You can also take a facility tour! Anyone with an interest in becoming an Electrician are encourage to attend!